Pack of 2 lifejacket CO2 cartridges. Fits most adult 150N class automatic/manual lifejackets. When tragedy strikes and lives are on the line it's important that the tools for survival are ones that can be trusted to work consistently. 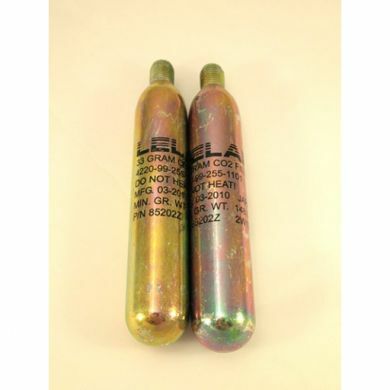 Our 33g Threaded CO2 cartridges are used for lifejackets by trained professionals worldwide. Quality assurance is our highest priority and the cartridges are rigorously tested and monitored to ensure the most reliable and highest quality cartridge on the market. Ask for more details today.